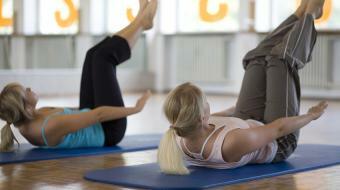 Rachel Wainwright discusses who can benefit from Pilates. Who Can Benefit from Pilates? 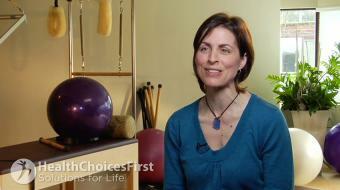 Rachel Wainwright discusses who can benefit from Pilates. Pilates is for everyone. Anyone can do it. Any age, male or female. It’s a smart exercise program. We do everything really precise. It’s very alignment based. It’s a lot of core strengthening, and it’s the deeper core muscles. So it’s gonna improve any back issues that you have, and your neck. It’s gonna help your balance, your coordination. There’s so many great benefits to it. The main benefit I feel is the best is that it strengthens your entire body, but lengthens. So you won’t get the bulkiness of a muscle, but you’ll get the strength and the elongated muscle. 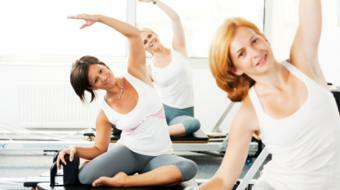 If you’re interested in Pilates, just check out a local qualified instructor in your area.